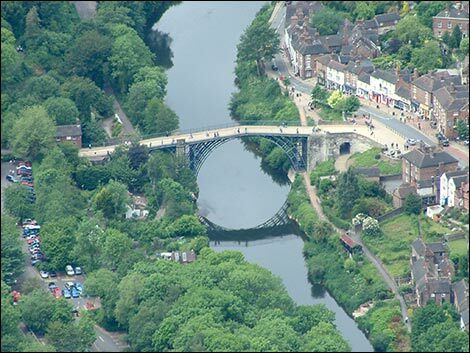 What can I tell you about Ironbridge? I wasn’t sure how to approach this post, so I decided to approach it from the different objectives the trip was supposed to achieve (from my point of view). The trip, even though it was only the second week, came too late for people to get to know each other. Everyone already had their friendship groups sorted out (SKE and newbies alike) so there wasn’t much mixing of new people. Fine if you’ve got friends but not what the trip was about. When the booze and snacks were cracked out the lecturers were nowhere to be found. We didn’t do anything that we couldn’t have done in uni. Even the geology trail. We had one on campus last year and we’re having one on campus in a fortnight. Don’t get me wrong, the activities were great and I especially loved the biology trail around Blists Hill, but if the uni are tryong to save money they could host 2 day pseudo-STEM days at the uni. I would have liked to make a tile rather than going round a tile museum. Most people agree that field trips are fun and therefore facilitate learning. I think the field trip could be improved by making the activities that we did more relevant to where we were. We did physics, geology, biology and chemistry, and at no point did anyone specifically say why we were there. The residential aspect (the bit I was most dreading) was fun and worthwhile since I’d never been on a residential before. I only got 2 hours sleep but I think most people were in a similar boat, whether from drinking or from room-sharing. Overall I think it was a worthwhile life and learning experience, but if the department is struggling enough to need future students to pay for it then they could make it a day trip or host it on campus with a restaurant meal afterwards. My other suggestions would be for them to make the activities more relevant to the location, or to make better use of the ‘dead-time’ before and after dinner perhaps with more team building than talks. My last comment is just to note the difficulty some people had in finding car-sharing. A lot of things to mention since the last post! Tomorrow we’re all going on a residential field trip to Ironbridge Gorge and will be looking at many different things in different places. It should be fun and exciting and blah blah blah. We’ve all had to organise lifts with people who we’ve known for a week, and sometimes only met once, and then we sleep in bunks in a hostel with 15 in a room. This worries me somewhat but I’m determined to enjoy it and make the most of the whole experience. I’m getting a lift down from uni with 2 girls in my group (who were on the SKE) so at least that part is sorted and worry-free. We’ve also been told where our first two placements are. We spend next week in a primary school then in a few weeks we have our first proper secondary placement! Very exciting. My primary placement is very near where I live (I can walk there! Saves money!) but I suspect I might be there on my own (This is worrying but gives me the chance to man up and become a teacher). My secondary placement is also nearby and best of all I’m with another SKE science student who is absolutely lovely and will be picking me up on the way! There are five of us in all going to that particular school including an IT guy, a languages girl and a history (I think) girl. The school looks quite good and has a sixth form, which does mean that we’re going to have to man up and elbow ourselves some post-16 teaching time. 100 students in a hostel?